For a newspaper in Iowa, it looks like color does matter when reporting a crime. Over the course of a few days, the Gazette newspaper in Cedar Rapids, Iowa reported on a string of robberies and burglaries in the area and how several suspects had been arrested and were now facing charges. Three of the suspects are white University of Iowa wrestlers, while the others are African American and not in college. The Gazette caused controversy when it decided to publish very different kind of photos of the suspected thieves even though the crimes were basically the same: the white university students got their freshman year photo of suits and matching ties, while the black suspects got their police mug shots in the paper. 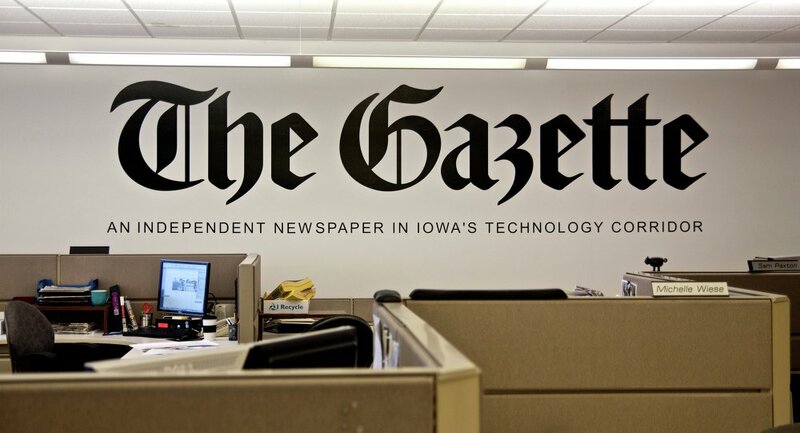 The Gazette said it did that for time constraint reasons and that it would have taken a while to get the permission needed to run the mug shots of the Iowa students. After a minor uproar, the newspaper hanged the pictures, and all are now mugshots.